A.	Submission of papers to the areas of analysis and modeling problems in the areas of Engineering, Chemical, Optical, Resources, Food technology, Anatomy and Nutrition. Print text in Times New Roman # 12 (shares-Bold) and italic (subtitles-Bold) # 12 (text) and # 9 (in quotes footnotes), justified in Word format. With margins 2cm by 2cm left-right and 2cm by 2cm Top-Bottom. With 2-column format. Start with an introduction that explains the issue and end with a concluding section. Items are reviewed by members of the Editorial Committee and two anonymous. The ruling is final in all cases. After notification of the acceptance or rejection of a job, final acceptance will be subject to compliance with changes in style, form and content that the publisher has informed the authors. The authors are responsible for the content of the work and the correct use of the references cited in them. The journal reserves the right to make editorial changes required to adapt the text to our editorial policy. C. Items can be prepared by self or sponsored by educational institutions and business. The manuscript assessment process will comprise no more than twenty days from the date of receipt. D. The identification of authorship should appear in a first page only removable in order to ensure that the selection process is anonymous. Should be self-explanatory (without resorting to text for understanding), not including abbreviations, clearly indicating the title and reference source with reference down with left alignment number 9 with bold typography. All materials will support grayscale and maximum size of 8cm wide by 23cm tall or less size, and contain all content editable. Tables should be simple and present relevant information. Articles: Kejun, Z. (2012).Feedback Control Methods for a New Hyperchaotic System.Journal of Information & Computational Science, No.9. Pp :231-237. Books: Barnsley, M. (1993).Fractals everywhere. Academic Press. San Diego. 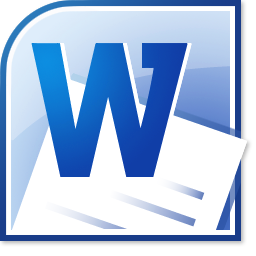 The list of references should correspond to the citations in the document. G. The notes to footnotes, which should be used and only to provide essential information. H. Upon acceptance of the article in its final version, the magazine tests sent to the author for review. ECORFAN only accept the correction of typos and errors or omissions from the process of editing the journal fully reserving copyright and dissemination of content. Not acceptable deletions, substitutions or additions which alter the formation of the article. The author will have a maximum of 10 calendar days for the review. Otherwise, it is considered that the author (s) is (are) in accordance with the changes made. I. Append formats Originality and Authorization, identifying the article, author (s) and the signature, so it is understood that this article is not running for simultaneous publication in other journals or publishing organs.